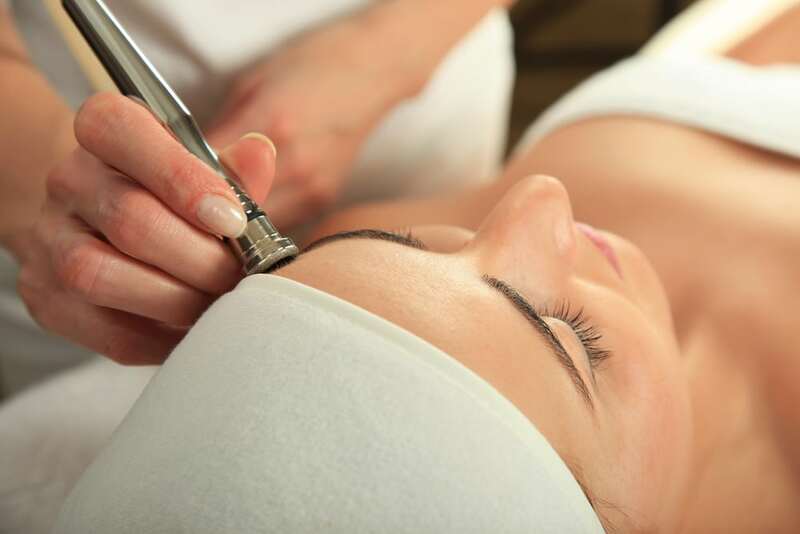 If you feel your skin is a little lack-lustre and in need of a boost beyond your usual daily regime then here at the Spa at the Bedford Lodge Hotel we have a range of non-surgical treatments to help restore that healthy glow. Perhaps you are beginning to notice some dryness and dehydration, the appearance of fine lines and wrinkles or just a generally dull appearance? If so, now’s the time to take action and treat your skin to our Medical Microdermabrasion treatment – the perfect way to instantly revive a tired-looking complexion. Microdermabrasion is a device-led treatment which sprays tiny crystals at the face to gently exfoliate dead, dull skin cells on the surface. The crystals along with the dead skin cells are removed with a gentle suction process, revealing youthful and healthy skin and encouraging new cell turnover and improving oil regulation. As well as enhancing overall radiance, it is also great for improving the appearance of imperfections such as sun damage, hyper-pigmentation, age spots and scars as well as easing skin congestion, uneven texture and tone and softening the appearance of fine lines and wrinkles. And that’s not all – after microdermabrasion, your buffed and polished skin will allow better absorption of your serums and products, giving you better results all round. The pain-free procedure, which is suitable for most skin types, lasts around 30 minutes, (a little longer if you include the neck and décolletage). It needs no anaesthetic or downtime – so you can pop in for your appointment and then carry on with your day immediately following treatment. The only thing we ask is that you avoid the sun for 14 days after the treatment and always wear a high SPF to protect your newly revealed youthful skin. It’s the perfect post-holiday pick-me-up to restore skin that may have become dry and congested after being exposed to all that sun, sea and chlorine. Whether you choose to have just one treatment or a course – you’ll instantly see and feel the difference. What the Good Spa Guide Spa Spy had to say about The Spa!